Michael Polanyi said of his aim in writing Personal Knowledge: “The principal purpose of this book is to achieve a frame of mind in which I may hold firmly to what I believe to be true, even though I know that it might conceivably be false.” I say that Collins, Turner and I have achieved that frame of mind with regard to the existence or non-existence of “collective tacit knowledge.” We all hold firmly to what we believe to be true. I do not think that my position the result of my failure to understand what Collins means by “collective tacit knowledge,” or even of my failure to understand his arguments for its existence. It is because I understand his arguments that I judge them to be unpersuasive. He says, “it all seems terribly simple.” Let us imagine British society as a tin of red paint and French society as a tin of blue paint. It is simple, then, to imagine the Englishman Jack as being red as a result of having been dipped into the English tin and the Frenchman Jacques as being blue as the result of having been dipped into the French tin. Collins complicates this simple picture by admitting that societies are more complex than tins of paint. Every national society contains smaller collectivities, in a variety of sizes. Collins would have us imagine the bigger tins as containing both (1) their distinctive color of paint and (2) smaller tins, each containing their distinctive colors. “What you get,” says Collins, “is that each human winds up coloured by all the different paints it has been dipped into—English speaker, cricketer, Christian, gravitational wave physicist, and so on.” Jack and Jacques would not just be wearing their English red and French blue. Each would be wearing a painted coat of many colours. Collins says: “This isn’t just a fancy metaphor it is how life works.” It is a fancy metaphor, and I understand what he means to say by using it. But I deny that it is a description of how life works. I can illustrate this by comparing it to his own description of a group of gravitational wave physicists. This strikes me as exemplifying a “thick description” of a slice of life in a small community. The event was common knowledge for members, but different members attributed different meanings to it. But the images Collins sets forth in “Knowledge As It Says On The Tin” do not fit his description of the conflicting interpretations of Drever’s lockout. In terms of his metaphors, this one small “tin” would have to have contained four different colors of paint regarding this event: (1) the common knowledge that Drever had been locked out, (2) the “knowledge” of some that this was intentional, (3) the “knowledge” of others that it was an unintended consequence of routine maintenance and (4) the “atmosphere” that made it reasonable to believe either “2” or “3.” I cannot agree that the process by which the members of this group learned to believe what each believed can be imagined as their being dipped into the paint contained in their tin. Collins’ three metaphors do clarify one of his pictures of how life works, but I believe that his description of the lockout provides a very different picture of how life works. I say that his three metaphors are profoundly misleading. (1) Knowledge is nothing like paint. (2) Societies are nothing like tins of paint. (3) Learning is nothing like being dipped into a can of paint. 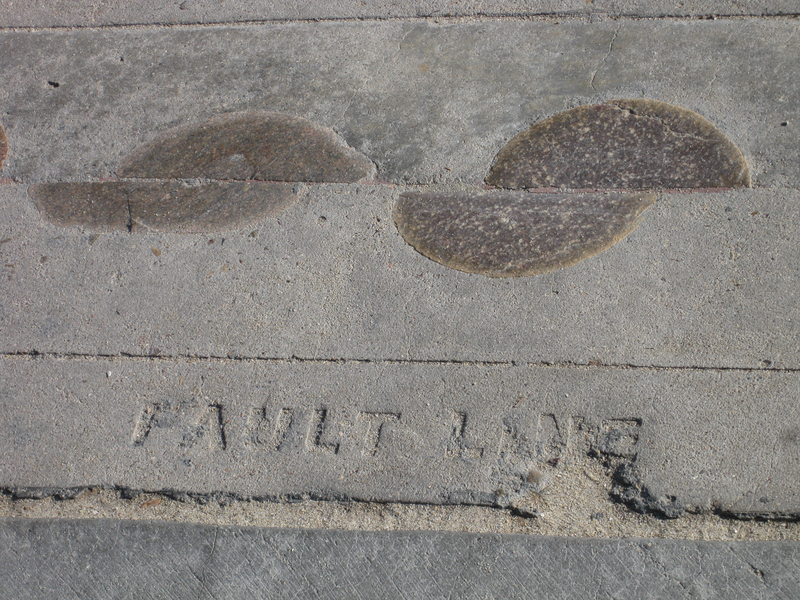 Turner traces the fault line that divides his “social” picture of tacit knowing from Collins’ “collective” picture of tacit knowledge to a disagreement between Gabriel Tarde and Émile Durkheim early in the 20th century. Turner says that a minority of social theorists stand with him and Tarde in denying that collectivities can be knowing subjects. Collins, in contrast, says that a minority of social scientists stand with him and Durkheim in affirming that collectivities can be knowing subjects. I don’t really know which is the minority position, but I do agree that the fault line continues to divide philosophers as well as social theorists. It might very well be that this fault line goes back to ancient Athens, with Aristotle’s break with Plato over the location of ideas. It strikes me that Durkheim’s notion of “collective consciousness” and Collins’ notion of “collective tacit knowledge” both have a family resemblance to Plato’s notion of the realm of subsistent ideas. The image is that of a non-material reality that hovers above physical persons and things. Aristotle disagreed with his teacher by arguing that the ideas of things are located only in (1) the things themselves and (2) the minds of the persons who know the natures of those things. I do not mean to say that Collins is a Platonist, but that there are some aspects of his image of how the world works that have a family resemblance to some aspects of Plato’s philosophy. In addition to this notion of a “collective tacit knowledge” that somehow “hovers over” the world of collectivities of real persons, Collins uses language that strikes me as having a family resemblance to Plato’s notion of the “participation” of the souls of individuals in the subsistent ideas. It is easy for me to imagine the “collective atmosphere” as a kind of cloud that hovers above the individual members of the group. Collins seems to me to equate this collective atmosphere with knowledge—“collectivities are the locus of this kind of knowledge.” Then, his claim that “we individual parasites draw upon it” strikes me as very similar to Plato’s notion that each individual soul participates in the subsistent ideas. The fault line between believers and non-believers in “collective tacit knowledge” is analogous to the fault line between theists and atheists. Just as the committed atheist is unlikely to be persuaded by the theist’s attempts to prove the existence of God, so also the committed non-believer is unlikely to be persuaded by the believer’s attempts to prove the existence of “collective tacit knowledge.” The atheist is quite capable of understanding the theist’s “proofs,” but judges them to be unpersuasive. Similarly, I am quite capable of understanding Collins’ “proofs,” even though I judge them to be unpersuasive. Collins, Harry. “Analysing Tacit Knowledge: Response to Henry and Lowney.” Tradition and Discovery 38, no. 1 (2011/2012): 38–42. Collins, Harry. “Collectivities and Tacit Knowledge.” Social Epistemology Review and Reply Collective 5, No. 4 (2016a): 26-28. Collins, Harry. “Knowledge as It Says on the Tin: Response to Moodey.” Social Epistemology Review and Reply Collective 5, no. 7 (2016b): 50-51. Moodey, Richard. “Relating Polanyi’s Tacit Dimension to Social Epistemology: A Response to Walter Gulick.” Social Epistemology Review and Reply Collective 4 no. 1 (2016a): 1-6. Moodey, Richard. “Performing Knowing: A Reply to Collins.” Social Epistemology Review and Reply Collective 5, no. 6 (2016b): 42-43. Polanyi, Michael. Personal Knowledge: Towards a Post-Critical Philosophy. Chicago: University of Chicago Press. 1958.